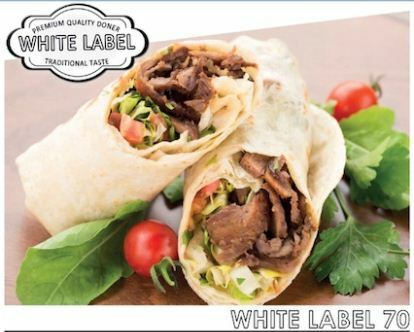 The White Label 70 blends 70% lamb with a traditional seasoning mix, and is renowned in the industry.for its quality . It holdes its fat. meaning it locks in flavour and doesn’t dry out, which makes the doner easier to slice, which leads to less waste and boosts your profit. the white Label 70 delivers a traditional balanced flevour and is a firm favourite with a number of our customers.